For those of you who are regular readers of Eleven-ThirtyEight, you’ll note that in the lead-up to The Force Awakens, various articles were published wherein we speculated on the state of the galaxy post-Return of the Jedi. More specifically, what sort of government the Rebel Alliance would found in the aftermath of their victory at the Battle of Endor. Back in July 2013, Mike Cooper gave me the honor of being the first to write an article about the “Glorious Cause” of the Rebellion and the New Republic that they needed to establish. 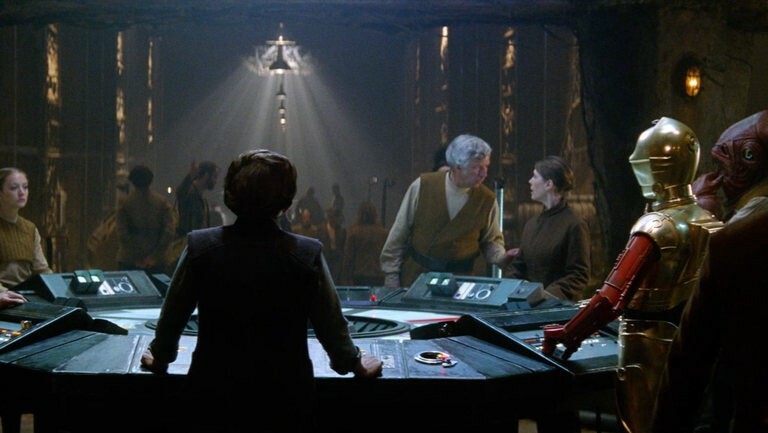 In my original article, I highlighted five essentials that would be needed in the sequel trilogy to show that sacrifices of our heroes in the original trilogy were worthwhile. Now, with The Force Awakens out and various tie-in materials released, it is as good a time as any to take stock of what we now know and how it matched up to my original list. Thanks to various books and comics unveiled under the Journey to The Force Awakens banner, we learned early on that the Rebel Alliance was successful in defeating the Empire and restoring the Republic. What probably surprised many fans was how quickly and how completely this success was achieved. For those of us who grew up and cut our teeth on the old Expanded Universe (aka Legends), the battle to liberate the galaxy and defeat the Empire was a long, tough fight. It ultimately took nearly fifteen years in-universe to have the Galactic Civil War truly end, with the signing of the Bastion Accords between the New Republic and the few remaining sectors of the Imperial Remnant. As a result of that, many fans (myself included) assumed that the war post-Endor would be a long, drawn out fight. Marvel’s Shattered Empire comic miniseries and novels like Aftermath and Lost Stars showed a much different scenario. Over the course of a little over one standard year, the Galactic Empire completely collapsed, culminating with the final death blow it received at the Battle of Jakku. Worlds and entire sectors defected almost immediately after news of the destruction of the second Death Star and the death of Emperor Palpatine became known. As quickly as the Empire fell, the New Republic rose like the starbird of its emblem. In the space of that same year, the New Republic elected a new senate, expanded into the Core worlds, and amassed a navy capable of outgunning and overwhelming the still-powerful remnants of the Imperial starfleet. All of this ultimately forced the Empire to sue for peace with the signing of the Galactic Concordance, which stripped the remaining Imperial systems of any ability to wage war and imposed harsh reparations. By the time of The Force Awakens, the New Republic has been the dominant superpower for almost three decades and stretches from the Core to the far reaches of the Outer Rim. By any and all measures, the “Glorious Cause” was indeed a resounding and unequivocal success. The second essential from my original article was that the Rebels not just found a New Republic, but that it actually be new, not a simple rehash of the Old Republic. The goal of restoring the Republic was enshrined in the formal name of the Rebellion and as we learn in the new canon, they not only restored it, they made some significant changes to address the worst wrongs of the Old Republic. First, the head of state is simply addressed as Chancellor, dropping the ornate sounding “Supreme” from the title. In addition, the emergency powers and complete control of the military that were part of the office since the Clone Wars were removed and returned to the Galactic Senate itself. The makeup of the new Galactic Senate was radically different too. Gone were the corporations and political appointees. In their place was a democratically elected body of senators chosen directly by their constituents. The Republic that the Rebels restored focused on the core tenets of democracy, freedom, and limitation of central powers. The New Republic’s first capital wasn’t the gleaming city world of Coruscant, but the agrarian and pastoral world of Chandrila. Its first session was not held in the old halls of the Galactic Senate Rotunda, but a simple governmental complex in Hanna City. Militarily, the New Republic chose to reduce its military forces by almost ninety percent, relegating those resources back into the hands of their member worlds. The New Republic Defense Force consisted of the remaining ten percent, patrolling Republic space, safeguarding borders, mediating conflicts, and protecting trade routes. The final product is a New Republic that is truly new and unique. The third essential I laid out in my original article revolved around good leaders. By the end of the old Expanded Universe, the entire concept of elected leaders was in a sad, almost laughable state. Assassinations were the normal driver for new leaders, who in turn were either military despots or supposedly reformed war criminals. Democracy in general was portrayed as either ineffective or not even viable for the GFFA. Many fans, even those who dared to hope that things would get better, were ultimately disaffected and disappointed by the state of things. 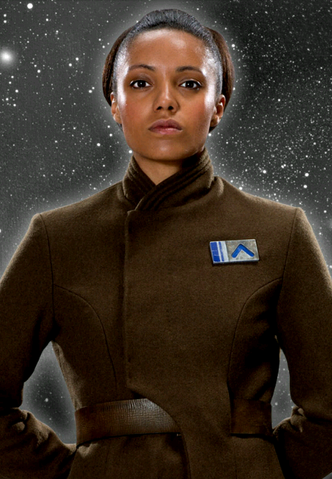 With the canon reboot, we’ve seen an overall improvement in how the leadership of the New Republic is portrayed. 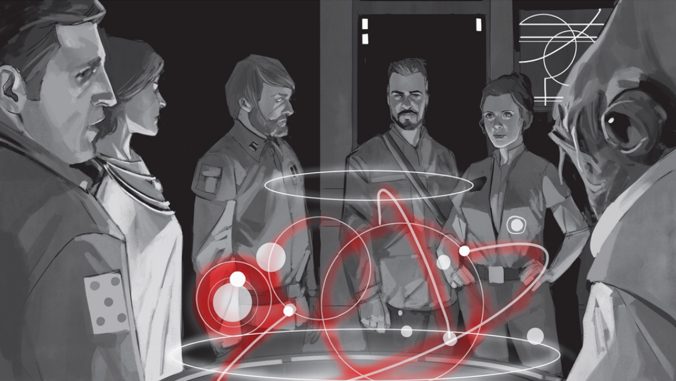 In the early New Republic era, old Rebels like Mon Mothma, Leia Organa, and Admiral Ackbar guide and protect the Republic through its first, tumultuous year. They succeed, as noted earlier in this article, in establishing a New Republic that corrects many of the most egregious wrongs of the Old Republic and set their new government on solid ground. The portrayal of the New Republic’s leadership in its third decade of power is interesting. As we learn in The Force Awakens and some of its official tie-in materials, the New Republic is still a force for good… but one that has become too complacent in peace. In many ways, it was almost too successful and as a result has become too comfortable and too naïve to believe any other power could challenge it. While Leia Organa pleas with the Senate to take the First Order seriously, the Chancellor and Senate dismiss her concerns as outdated at best and warmongering at worst. Maintaining peace, even at the price of appeasement, is the main priority. The New Republic would prefer to focus on their largely successful efforts to rebuild worlds, promote trade, and restore galactic infrastructure. Enter the Resistance, founded by General Leia Organa and devoted to protecting a New Republic that isn’t yet willing to acknowledge the growing darkness. It is worth noting that the primary source of military and financial support comes from sympathetic New Republic senators and member worlds’ own defense forces, showing that there are other people of principle that realize that peace cannot be taken for granted. In essence, the GFFA equivalent of the old adage “eternal vigilance is the price of liberty”. Overall, I’d say that this essential has been partially met. What I like best about this is that instead of retreading the old and tired plot lines of corruption they chose to instead show a democracy that isn’t yet, pardon the pun, “awakened” to the threat. Like the Allied Powers of the Second World War, sometimes it takes a surprise catastrophic event to shake a democracy to action. The destruction of Hosnian Prime may well be the Pearl Harbor event of the sequel trilogy. Time will tell, but the First Order may well have awoken a sleeping giant. My fourth essential for the sequel trilogy was that the New Republic have good relations with the Jedi Order. Like the desire for good leaders, this was in large part due to the negative portrayals in this regard that we saw in the last years of the old Expanded Universe. The Force Awakens actually threw an interesting curve ball here, as we learn that while Luke Skywalker did in fact establish a new order of Jedi, his first class was killed due to the betrayal of his nephew Ben. The loss of his students shook Luke to the core. He disappeared from the galactic stage, mourning his loss and deciding to pursue the location of the first Jedi Temple. As a result, the New Republic and the greater galaxy lack one of the main pillars of stability and justice, the Jedi Order. The Old Republic lasted millennia due to a just Senate and the wise council of the Jedi Order. The New Republic and the Resistance now face a new evil with roots in the dark side. To confront this new darkness head on, the Jedi Knights must rise again. My fifth and final essential was the existence of a threat that was dire and compelling enough for our old heroes and new heroes to rise up and confront. Enter Supreme Leader Snoke, Kylo Ren, and the First Order. The Sith may be gone, but the dark side of the Force is ever present and tempting. The Galactic Empire may be defeated, but an even more fanatical and militaristic faction has risen in its place. Ben Solo’s fall to the dark side and the First Order’s destruction of the Hosnian system are the clear and present danger that our heroes will have to overcome in Episodes VIII and IX. We’ve seen the first, heart-wrenching casualties of this fight. Han Solo is dead. The New Republic’s leadership is crippled and scattered. Yet hope is not lost. Luke Skywalker has been found. The First Order’s Starkiller Base is destroyed. Looking back, I’m extremely pleased at how things have progressed in both expected and unexpected ways. Like all of you reading this, I’m excited to see what the remainder of the sequel trilogy has in store for us. The Republic has been restored, but the Jedi need to rise again. Only together can the First Order be destroyed and peace returned to the galaxy. The message is a simple yet poignant one of determination and hope. Rey, Finn, Poe, and the rest of our heroes have answered the call and now confront the challenge of their generation, determined and hopeful.